Summer starts here! 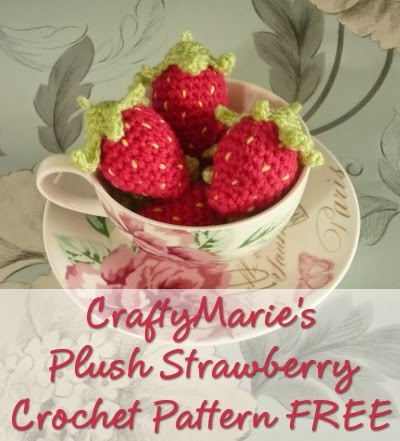 Well, not officially but we have been blessed with some amazing sunny and warm weather just recently which is really helping to kick off the summer season crafting - and what better for this than some sweet, crochet strawberries to make and enjoy with this free mini crochet strawberry pattern. I'll be stringing mine up on a garland for my daughter's girly birthday party. But they do look cute presented in a bowl and I can imagine what cute additions and embellishments they'd make on a little cushion too. The basic crochet strawberry pattern is below for you. It is my own pattern that I've worked on. I've seen these made up before but not exactly to my own tastes so I worked out my own pattern to get the exact shape and style that I was after. Patterns are in US terms. It is easy to substitute US sc for UK dc. Both the body and stalk area are worked in continuous rounds so you will definitely find it helpful to use a Crochet Stitch Marker to keep track of the end of each row as you work. Of course you can use any combination of yarn and hook that you prefer. You really want quite tight stitches as you are stuffing this so you may need to go down a size of hook to achieve that. I used plain DK or double knitting yarns and you can easily use any worsted weight for this pattern. Use your leftover yarns if you like! Make a slip knot and a chain 4 loop for working in the round. This means: chain 4 (ch4) then insert the hook back down into the first chain made and slip stitch (ss) into it to make a circular chain. Or create a magic ring to work your stitches in instead. Start to stuff the strawberry at this point. 13) *sc2tog; repeat twice then fasten off and sew in end of yarn. Use a long darning needle with a blunt end for sewing and a wide enough eye to accommodate your yarn or thick piece of embroidery thread. Using a long piece of yarn, start sewing at the fat end of the fruit where you have worked the more untidy decrease stitches and work in a small straight stitch. Then pop your needle somewhere else in the body to work another small stitch. Do this randomly around the body to make your pips and then fasten off back at the end you started at, sewing in any loose threads. 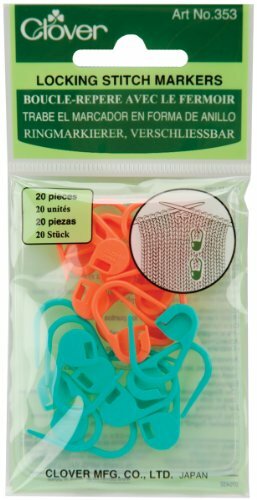 Make a chain 4 loop for working in the round. This means: chain 4 (ch4) then insert the hook back down into the first chain made and slip stitch (ss) into it to make a circular chain. Or create a magic ring to work your stitches in instead. 4) 1sc *1sc, ch4 up, ss into 2nd ch from hook, 2sc, 1sc in next stitch, 1sc, ch6 up, ss into 2nd ch from hook, 4sc, 1sc in next stitch; repeat from * all the way round row to make your stalk. SS to fasten off. You can leave a long length of yarn to sew this to your strawberry. If you get stuck or encounter any issues, you may find it helpful to look at the photo tutorial I linked to up top since that also has a lot more explanation as well as handy videos on some techniques that you may not yet be familiar with. If you encounter any mistakes, please do let me know.